Many daily habits can cause, exacerbate, or ease the amount of pain you experience, and there are several tried and true methods for dealing with chronic pain with or without the aid of pharmaceuticals and/or corrective surgery. In all cases you should consult a doctor, nurse practitioner or physical therapist about what natural remedies are right for you and your condition, and whether medical interventions are necessary. The best way to deal with chronic pain is to discuss the issues you are having and what medical interventions you are comfortable with participating in- openly with your doctor. Pain management professionals will work with you to ensure a natural, holistic approach to easing the chronic pain is taken and ensure your lifestyle habits and preferences are fully taken into consideration. Taking your mind off the pain is proven to be highly effective and can be done with a hobby or activity that is enjoyable, and perhaps, time-consuming. Reading, knitting, building models are great examples of ways we can train our brains on something other than chronic pain. When engaged in such activities the brain releases chemical such as serotonin and dopamine that can ease anxiety and mitigate the amount of pain that is perceived. Relaxation and meditation of often recognized ways to manage pain which fall into this category. According to Clinical Health Psychologist Dr. William Deardorff, “the brain can learn how to manage and decrease the sensation of pain using a combination of deep focus, breathing, and imagery techniques.” Such techniques combined with avoiding idle time can help limit the perceived amount of pain. Many instances of lower back pain and some joint pain can be soothed by different yoga poses and stretching techniques. Yoga helps to strengthen and loosen the connecting muscles to areas where soreness and inflammation start. One of the best ways to get active in yoga is to search for a yoga studio or a gym near you. You can also look up poses that can help you get started at home. If your doctor agrees that you are in fit condition to perform yoga, you may find that over time you will feel more mentally and spiritually fit. 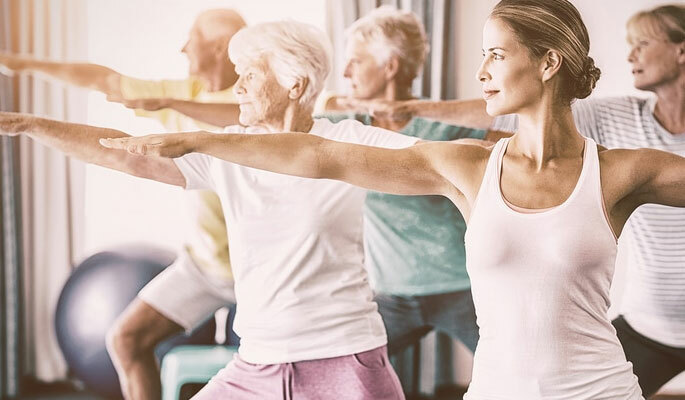 According to an article from Harvard Health citing two separate sources, Yoga has shown to help improve symptoms associated with ailments such as fibromyalgia and osteoarthritis and can even improve mental wellbeing. Also known as cryotherapy and thermotherapy, there may be some confusion as to when it is best to employ hot or cold to painful areas, so always consult with your healthcare professional. Generally, though, you use ice on injuries and heat on muscle pain, according to Painscience.com. Cryotherapy or “icing” can be useful for bruising, inflammation and other superficial injuries. While the evidence supporting the effectiveness of cryotherapy for injuries is tenuous, it can provide some minor comfort where inflammation and swelling are involved. Heat can be used for muscle spasms, tension, chronic pain and other situations associated with throbbing or aching feelings. Warmth can have a calming effect as well, which can sooth some of the emotional aspects associated with pain. Be careful when using temperature-based therapies in treating pain, because there could be an opposite-to-the-desired effect. The rule of thumb is to do what feels good to you. When considering supplements, as with all pain interventions and therapies you must consult with your healthcare provider. There are many on the market that can help with different types pain. WebMD offers a comprehensive article listing supplements that can ease different types of pain. In all cases, consulting with your physician before starting natural and herbal interventions is the rule of thumb as some of these supplements may react adversely with others, or other medicines you are taking. When considering an “alternative” treatment for pain you may notice a re-reoccurring theme: Your doctor is always going to be your best guide, so have questions prepared. Also consider many treatments that were once deemed alternative, are now becoming mainstream such as acupuncture and marijuana. It is important to keep in mind that treatments outside of the mainstream are there for a reason: They aren’t effective, or potentially harmful. Sometimes the most natural method of pain relief is to abstain from bad habits or to engage in healthy ones. Minor lifestyle changes like exercise, avoiding substance abuse, proper diet and getting enough sleep can improve quality of life and by extension perceived pain. 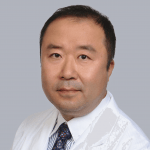 Dr. Sheldon K. Cho is a comprehensive interventional pain management specialist with Florida Pain Relief Group. He has spent more than 10 years practicing medicine on the West Coast. Dr. Cho is a board-certified Anesthesiologist with sub specialty qualifications in interventional pain medicine and substance abuse.